Cambodian’s believe in the ancient Khmer proverb, “lbeng bamphlanh chivit,” which translates to “Gambling destroys life,” and is probably why the government made gambling illegal for its citizens. Unfortunately, this proverb and the fine of 50,000 Riel and one month imprisonment are not enough to discourage locals from gambling. Probably, they give more weight on the Cambodian saying that a man who does not gamble is not man enough. Whilst gambling is illegal among locals, expats and tourists are welcome to try their luck in the country. The government has approved foreigner-only casinos to accept players from all over the world, as long as they can present a foreign passport. Poker is a popular game across the country, with as much as 13 cities in Cambodia having poker establishments. Yes, locals can enter these casinos and poker rooms with ease as most government officials look the other way around. Gambling generates the Cambodian government as much as US$29 million in tax revenues annually and casinos earn as much as US$2 billion every year. This poker room in the coastal city of Sihanoukville is popular among enthusiasts. They have daily cash games and regular poker tournaments. Aside from free food, cigarettes, and drinks, guests also can request a free room. Those who spend hours on a table should not worry about charging their phones as the tables come with USB chargers. Daily cash games schedule is every day at 2 pm for Texas Hold’em with a minimum buy-in of $300 and blinds of $2/$5. The 6 pm schedule of Texas Hold’em has a minimum buy-in of $100 and blinds of $1/$2. The poker room has a 5% rake or 50 cents for every $10 on the pot. The poker room will not take a rake in the absence of a flop, not more than three players seated, the pot is less than $10, and the pot is split and the rake will only cause the players to lose money. This upscale hotel and casino located in the capital city of Phnom Penh has a must-visit destination for tourists and expats. The casino has a poker room on its second floor, together with the sports book lounge. The game has blind limits of $1/$2 every day and a $2/$5 from time to time. As a come-on offering, the casino offers its patrons with free soda and beer. The rake for each game is quite acceptable for most casinos in Asia. Although, one should not expect poker to be the income-generating game in the casino. Riverking is a premier social poker club is the first casino in the country to offer the daily Pot Limit Omaha game. Players love going here every Sunday because the poker room offers a special dinner and a night tour of Phnom Penh’s great nightlife. Riverking is Cambodia’s most established poker venue. Do not try to ask a Phnom Penh local of its address as it is largely unknown to regular folks. The windowless poker room has an air of luxury despite the smell of cigarette, with its plush sofas, marble flooring, and flat screen TVs. Built-in safes are also available for safekeeping stacks of dollars. Aside from competitive gaming tables, the casino also offers its players free food and alcoholic and non-alcoholic drinks for all its players. Casino players can also coordinate with the casino should they want to arrange for accommodations as players can get a 50% discount. Free transfers from Phnom Penh airport and bus stations to the casino is also available. Cash games of No Limit Hold’em with blinds of $1-$3/$5-$10 is available every day. Pot Limit Omaha is also available daily with blinds of $1-$3/$5-$10. Located in the heart of the south coast of Cambodia, Vogue Poker Club is a great poker room, only a minute away from the Serendipity Pier. Players can enjoy a host of free international cuisine, drinks, cigarettes, and draft beer. Cash games of No Limit Hold’em is available every day with blinds of $1/$3, $2/$5, and $5/$10 and a minimum buy in from $100, $300, and $500, respectively. The house takes a rake of 5%. Other casinos in the country that offer poker room include Queenco Hotel and Casino and Holiday Palace. Admittedly, Cambodia has few options when it comes to poker rooms that a number of illegal venues are scattered, particularly in Phnom Penh. The illegal gambling market seems to be gaining a lot of popularity that some venues offer more than just gambling options but some adult entertainment as well. The Law on Suppression of Gambling passed in 1996 stipulates that online gambling is an illegal activity. No online casino operator has a permit or a license to operate one from within the Kingdom. Foreign nationals are allowed to play in online casinos. Still, weak law enforcement gives the Cambodian nationals the reason to find entertainment online. Technically, these online poker rooms have international licenses and have offshore headquarters so they are operating legally. Local laws are only applicable to citizens within their jurisdiction. Playing online poker in Cambodia is easy as most casinos accept the Cambodian Riel as currency. They also do accept MasterCard, Visa, Skrill, Neteller, ecoPayz, Paysafecard, Entropay, and local bank transfers. Expats should, however, consider using a prepaid electronic vouchers and a reliable and trusted virtual private network (VPN) as an added layer of security. Some local banks are aware that most individuals who use Skrill are engaged in online gambling so they may refuse transfers or if they do accept, may impose high processing fees. Cambodia has 3G and 4G internet connections but their Wi-Fi may not always be reliable. Westerners often move to Cambodia because of its lucrative poker gambling industry that allows them to live a luxurious lifestyle. In poker rooms, expats are known to play full-time, often termed as “grinders,” or those that make a living playing poker. The Cambodian players are commonly called the “fish,” as they are more casual gamers but mostly hail from the upper-class of Cambodia, who do not really care how much money they lose on the table. They are the favourite of Western grinders. One British expat who specifically moved to Cambodia to play poker shares that some Cambodian players can lose as much as $3,000 in one hand and simply not care. A poker room manager shared that Cambodia’s laws on gambling are lax. Poker rooms, however, are treated differently. If you want to operate one, you have to have some strong support to open one, especially in Phnom Penh where NagaWorld holds the monopoly. Riverking is a poker room opened by a senior Cambodian government official, whose identity is unknown to many. Poker rooms in Cambodia are probably the one place in the country where one can find either side of the political divide convene and interact. Poker has come to establish itself in the Cambodian gambling market. Growing steadily in recent years to include rooms with live poker games. The Asian Poker Tour has a stop in Cambodia and the World Poker Tour has also hosted two events in the country. Expats love Cambodia’s poker scene because they are not limited to Texas Hold’em. Gamblers play an array of poker variants including Five-Card Omaha, Pot Limit Omaha, Follow the X, Dealer’s Choice, and the popular live game of Sveden. Expats love playing in high stakes live games where pots can reach more than $60,000. 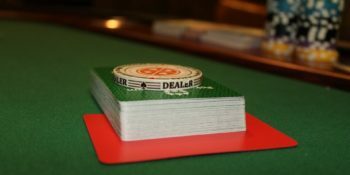 Why are expats moving to Cambodia to play poker? Poker games in Cambodia are soft. Players are hardly competitive. It is a lot easier and better compared with poker in the UK. Aside from the enjoyment you get from playing, players are offered a whole lot of other incentives. Unlike in the US, poker winnings here are non-taxable. Poker rooms have more acceptable rakes than most Asian countries. Avid expat poker players warn about playing poker in casinos as the rakes are higher than those in local poker rooms. Online poker is not popular in Cambodia but a lot of expats alternate playtime between online and live poker games. Online poker is often the choice when they want to play in more than one table. Some expats play as much as 28 tables at once, giving them more chances of raking in more money. Whilst expats love that they can make a good living playing live poker here, they also love the place as it is. It is affordable, sunny, and the people are amazing.